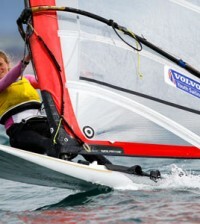 Bryony Shaw can’t wait to get back out on Weymouth’s London 2012 waters after firing a warning shot to her Olympic rivals in the Skandia Sail for Gold finale. 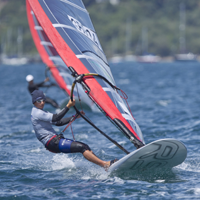 The 28-year-old endured an up-and-down week at the Weymouth and Portland National Sailing Academy, making it into Saturday’s medal race as part of the top ten but unable to climb the podium. But she shrugged this off and powered to victory on the final day, her first of the week-long regatta, leaving her eighth overall in the women’s RS:X class. And despite being abandoned by Lady Luck for most of her time on England’s south coast, Shaw hopes her medal race win is sign of what’s to come when she returns to Weymouth in August for an all-important Olympic test event. “It was great to finish the week by winning the medal race,” she said. “I basically had really good board speed which just shows that I have it in me, especially in the pressure situations. “It is really nice to finish on a high even though I have had some ups and downs during the week but it is a bit of a bittersweet thing because I wasn’t challenging for a medal. “But it just shows that I am on track and there are a few things to iron out before the pre-Olympics in August but I feel confident I am going in the right direction. “Winning the medal race is a fantastic message to send out and the girls know I have had my times during the week where I have really dominated in terms of board speed. Bryony will be hoping to climb the standings when she returns to Weymouth as she bids to improve on the bronze medal she won at Beijing 2008. In order to do this Shaw will need to make the most of home advantage and after getting another taste of the London 2012 venue last week, she is confident of doing just that. “I am feeling more comfortable out there on the Weymouth waters, more than I have done in previous years which is great,” she added. “I have struggled here in the past but it certainly is one of my strengths as winning the medal race proved and I can be confident in my board speed in Weymouth and just ironing out some of the other things.